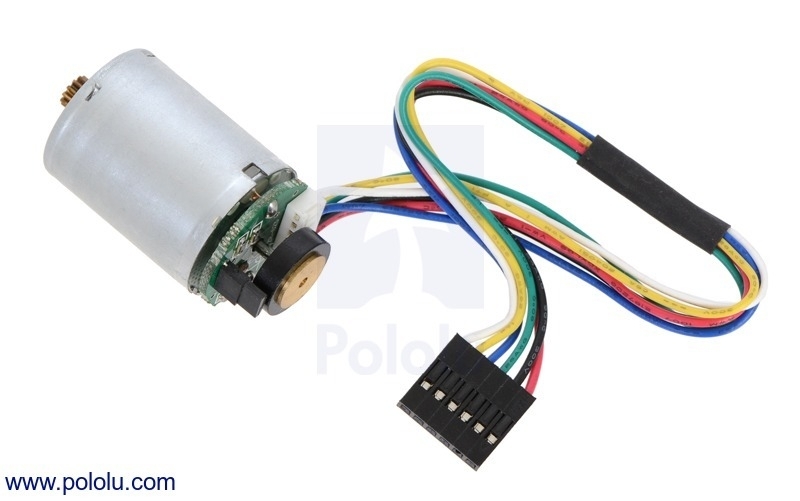 This is the motor and encoder portion of our medium-power, 12 V 25D mm metal gearmotors with 48 CPR encoders. It does not include a gearbox, but the pinion gear on the output shaft works with all of our 25D mm gearmotor gearboxes, so this can be used as a replacement motor or encoder for those gearboxes. Key specs at 12 V: 7800 RPM and 50 mA free-run, 0.2 kg-cm and 2.1 A stall.